Newly-appointed interim managers Peter McDonald and Jon-Paul McGovern guided ninth-placed Clyde to a 2-2 draw with table-topping Forfar. Danny Denholm opened the scoring for the leaders, only for Peter McDonald to equalise from the spot and David Gormley to complete the turnaround less than 10 minutes later. But Jim Lister levelled matters late in the second half and secured a share of the spoils for the visitors, despite a red card for Forfar goalkeeper Grant Adam. Three first-half goals set Annan on the way to a 3-2 victory in a pulsating encounter at Montrose. A breathless start saw Gary Fraser cancel out Rabin Omar's early opener, before Max Wright and Steven Swinglehurst gave the visitors a two-goal cushion. Fraser had the chance to reduce the deficit with a first-half penalty but saw his effort saved by Blair Currie. Annan's grip on the contest looked to be slipping when Kerr Hay pulled one back for the hosts and Darren Ramsay received a red card two minutes later, but Jim Chapman's side managed to hold on for the three points. 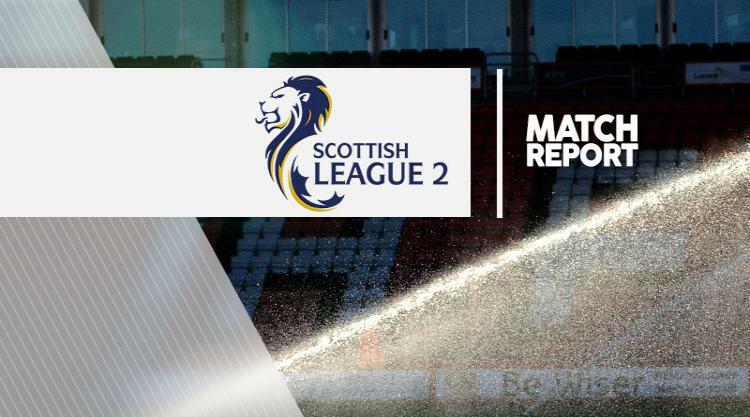 Bottom club Cowdenbeath slipped to a 2-0 defeat at home to Stirling. Dale Carrick saw his poor penalty saved by the feet of visiting goalkeeper Chris Smith, and the hosts' misery was compounded midway through the half when Ross Smith headed the Binos in front. Sean Dickson doubled the lead shortly after the restart. Elgin and Arbroath played out a drab, rain-soaked 0-0 draw, a result that helps neither in their pursuit of Forfar. Ricky Little received his marching orders for the visitors after picking up two yellow cards, whilst Elgin's Darryl McHardy came closest to breaking the deadlock when his cross struck the bar. Edinburgh City and Berwick saw their clash in the capital postponed due to a waterlogged pitch.